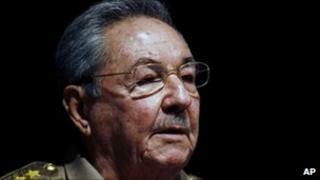 Raul Castro became Cuba's leader when his elder brother, Fidel, stepped down in 2006 to undergo intestinal surgery. For 18 months, Raul's presidency was considered temporary, but he was officially elected president in 2008 when Fidel decided to withdraw from office permanently. In February 2013 Raul was elected by the National Assenbly to a second five-year term, but he said it would be his last. For many years Raul Castro seemed content to lurk in Fidel's shadow. Quieter and a head shorter than his sibling, he was thought to lack the stature of a brother famous for his long, rousing speeches and defiance of the West. However, Raul held numerous key positions before assuming the presidency, including being the head of the Communist Party and the senior official in the armed forces. Once elected president, he was quick to introduce some small, but significant changes. An early move to relax restrictions on owning mobile phones and computers and a rise in salaries and state pensions was widely celebrated by Cubans. Raul also allowed unused state-owned land to pass over to private farmers and cooperatives in an attempt to boost domestic food production. However, some who predicted he would be more of a pragmatist than his brother have been disappointed with the pace of change. They argue not enough has been done to open up Cuba's economy and pursue a rapprochement with the United States. In April 2009, US President Barack Obama announced that he was easing restrictions on travel and remittances to the island by Cuban-Americans. But the US trade embargo, in place since the early 1960s, remains. In 2010, Raul began a long process of reassessing the structure of Cuban socialism, which according to some analysts is an attempt to move towards a Chinese model which allows more private commerce. Raul himself has said that, "Many Cubans confuse socialism with freebies and subsidies, and equality with egalitarianism." In September 2010, the government announced plans to reduce the size of the state, beginning by cutting 500,000 jobs from the sugar, farming, construction and health and tourism industries within the first three months of the year. However in March, Raul admitted that the cuts were behind schedule and predicted that the overhaul of the economy would take at least five years. Raul and Fidel have worked together since the 1950s, when they plotted the Cuban Revolution. The current president can claim an earlier commitment to socialism than his brother, whose early defining political characteristic was nationalism. Some say that he has always been more of a hard-liner than Fidel. In the first few months of the Revolution, he was kept out of the limelight because his militancy was thought unpalatable. Raul was born in 1931 in the eastern province of Holguin, to Angel Castro and Lina Ruz, the youngest of three brothers - five years younger than Fidel. He attended school first in Santiago and then in Havana, where as a university undergraduate he joined a communist youth group. In 1953, he took part with Fidel in the assault on the Moncada barracks - an attempt to oust the authoritarian regime of Fulgencio Batista. But the assault failed, and Raul served 22 months in jail alongside his brother. In 1955, the two were released, and went to Mexico to prepare the ship Granma for a revolutionary expedition to Cuba in late 1956. During this time, Raul is said to have befriended Che Guevara, introducing him to Fidel. Upon their arrival back in Cuba, the band of revolutionaries conducted a guerrilla warfare campaign from the Sierra Maestra mountains, finally overthrowing Batista in early 1959. That early guerrilla army has evolved under Raul's leadership into a fighting force of some 50,000, which assisted pro-Soviet forces in conflicts in Angola and Ethiopia during the 1970s. The army played a crucial role in peacetime efforts to prop up the ailing Cuban economy following the collapse of the Soviet Union in 1991. Through a state-run tourism company, Gaviota, it also plays a primary role in the - now key - sector of tourism. Raul is also reported to have influenced financial policy from behind the scenes. In 1959 Raul married Vilma Espin, a fellow revolutionary guerrilla fighter and high-level party official, who died in June 2007. The couple had four children. Raul is said to be a doting father and enthusiastic climber. Is Cuba set for major changes in 2011?